Blake loves sensory play and also getting messy. He's favourite activities at the moment feature water, kinetic sand or painting. 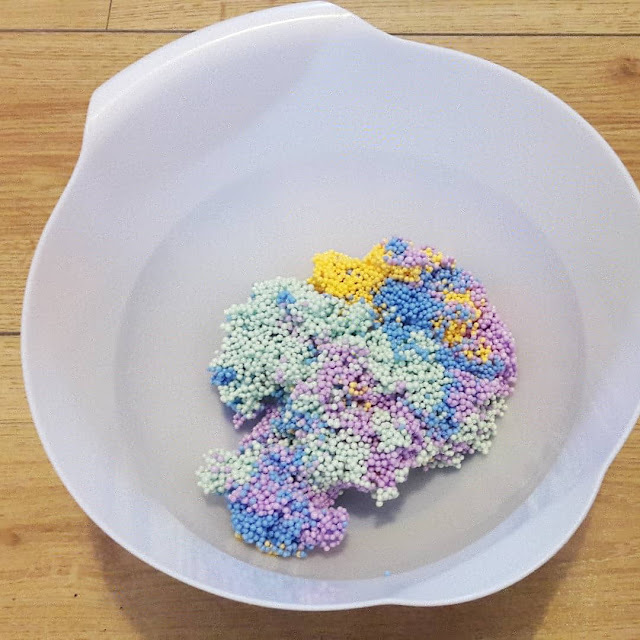 I've realised recently that I haven't had the tuff tray out in awhile, so I've decided during the Easter holidays we are going to have lots of fun getting messy. Foam and slime tend to be a very popular sensory activity recently which I've seen popping up on social media. We've yet to try these which I feel bad about however when I spotted mess free foam on Amazon I had to get some for Blake. We decided to do the activity one day after preschool the other week. I had tried the activity with Blake previously however he wasn't interested at the time. However now he is absolutely loving it! The messy free play foam is from learning resources and you can get various sized packs and I picked up the starter pack with 4 different colours. It's a strange sort of texture as it feels sticky but doesn't stick to hands etc or makes your hands feel sticky after playing. It's also a non toxic formula that never dries out! It's easy to mould and a great activity to help develop fine motor skills. We love that its mess free and Blake gets really into playing with it and keeps him entertained for a good period of time. The only downside I can say is that it doesn't come with a container. However this wasn't too much of a problem as we have quite a few Tupperware boxes so used one to store it in. Amazon do sell a bigger set though that does come with a container which is worth looking out for. 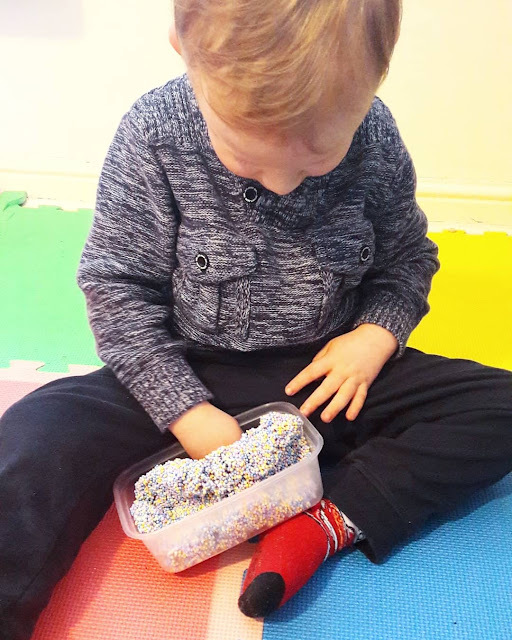 Sensory play is really important for toddlers! I think it's also important that we make games a learning experience as well. This is such a fun activity for the kids! Sensory activities can be such a great thing to do, and this looks like a great product to have for just that purpose. This play foam looks really cool and very attractive for kids. and it's non-toxic very safe for kids. This looks like so much fun and it's so interesting that it's mess free! My girls would absolutely love this! I love anything mess free!